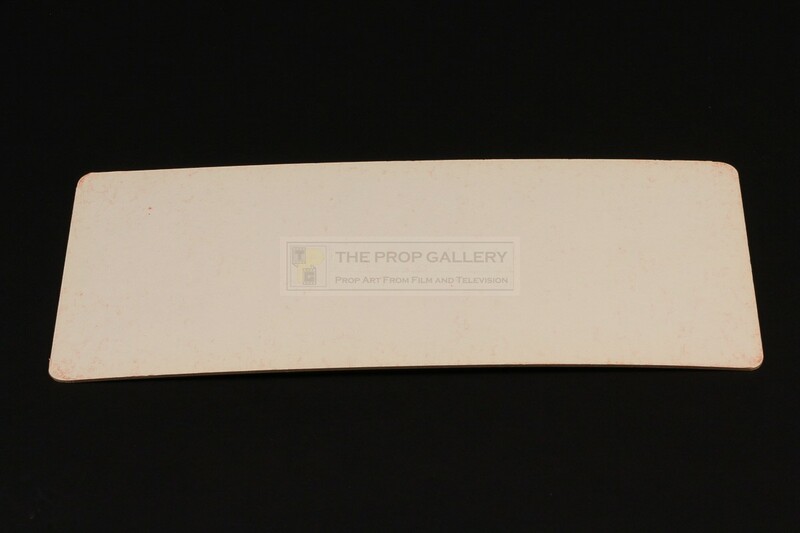 An original prop created for the production of National Lampoon's Vacation, the 1983 comedy picture starring Chevy Chase under the direction of Harold Ramis. 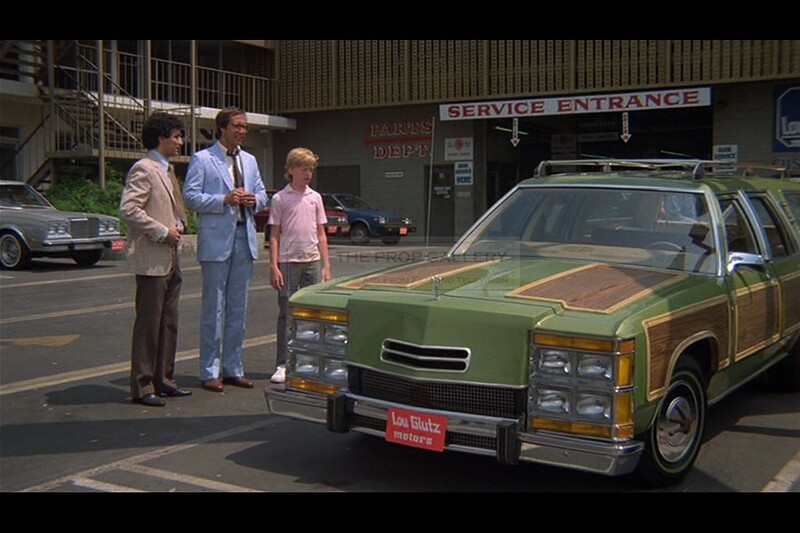 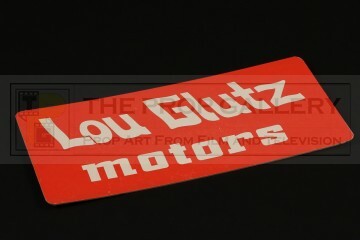 Licence plates such as this can be seen on the various cars at the Lou Glutz dealership as Clark Griswold (Chevy Chase) and his son pick up the new car, one is also used on the back of the family's station wagon throughout the movie. 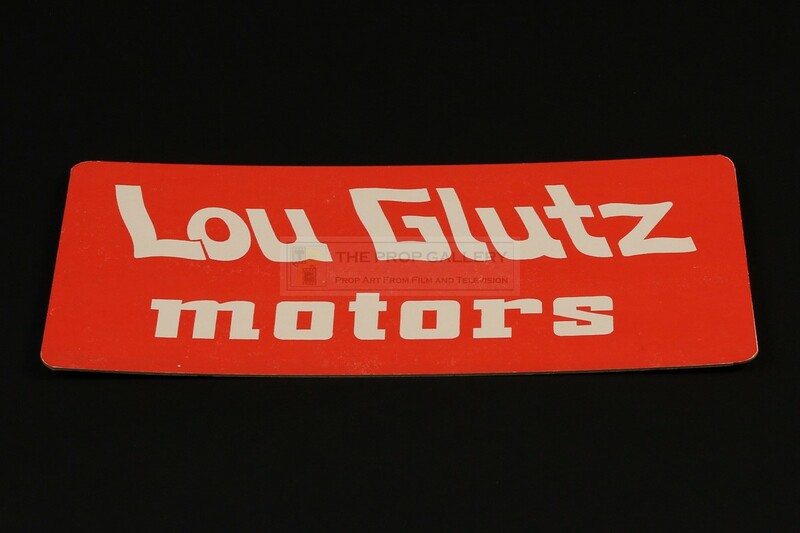 The plate is printed on thick card stock and features the name of the dealership ' LOU GLUTZ MOTORS' in large white lettering and is blank to the verso. The licence plate measures approximately 12" x 6" and remains in excellent production made condition with some minor surface wear, overall fine. 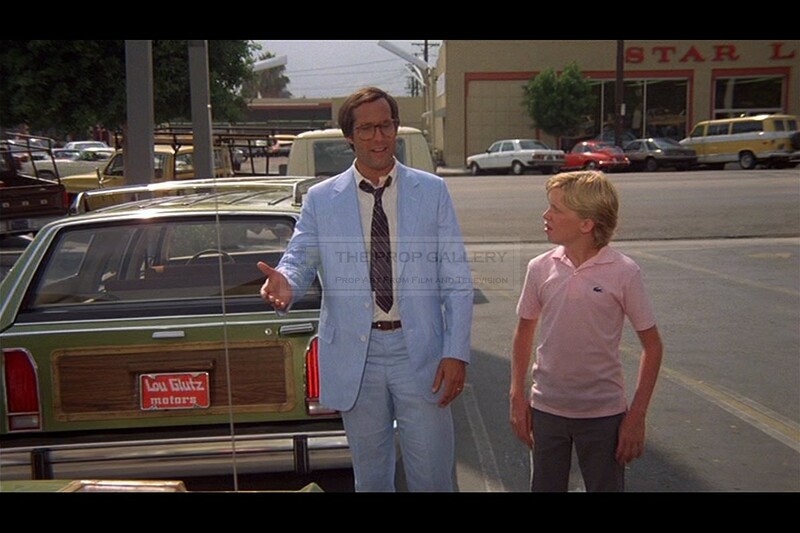 A recognisable and displayable artefact from this highly regarded comedy classic.